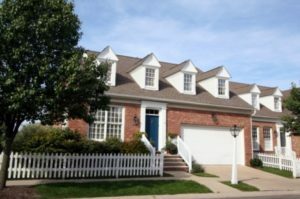 Liberty Oaks is a desirable Ann Arbor complex, the detached condos are spacious and close to many nature area s. The association manages lawn maintenance, snow removal, biannual window cleaning and more. There is currently 1 condo listed for sale and so far this year, 1 has sold. $312,000. 687 Boston Ct., Ann Arbor. 1511 square feet with 2 bedrooms and 2.0 baths. Last year at Liberty Oaks, 2 condos sold with an average sale price of $370,500 and an average price per square foot of $202.00. The 1 condo sold this year has a sale price of $360,00, down 3%, and a price per square foot of $206.00, up slightly. On average, the 2 condos sold last year had 373 more square feet than the condo sold this year. To learn more about condo values at Liberty Oaks, contact the real estate specialists with The Bouma Group at (734)761-3060 or email info@bouma.com. View more Ann Arbor condominiums here!